Our favorite Irish quartet began their assault on the home of the San Francisco Forty-Niners last night in front of a sellout crowd of 50,000 fans. I will give a fuller account of the show soon, but I wanted to post something while still bathed on the glow of the last night’s performance. Sadly, my Canon G16 struggled to keep up with the boys but I managed to snap a few decent images from the hundreds I took. I realize that from where we were sitting, I really needed an SLR camera. We had club seats so there were some of the best in the house, but the field was where the action was. The first thing you notice is the screen. It his huge and somewhat reminiscent of the screen from their show in Paris, way back in 1987 (that show is on the DVD from the 20th Anniversary boxed set). As you can see the Joshua Tree design on the screen as well and there is a matching design on the satellite stage, which is hard to see. This area was probably the second-best place to be on the field. The best was the front of the main stage. I’ll get into that in a later post. In a twist on how they perform, the band began on the satellite stage with songs from Boy and TUF. Bono’s voice was in top form and they played a version of Bad that reminded me of the first time I heard it live nearly thirty years ago. Over the years, Bono has changed the way he sang some of the songs from older albums and it was totally awesome that Bad was performed much more closely to the original. 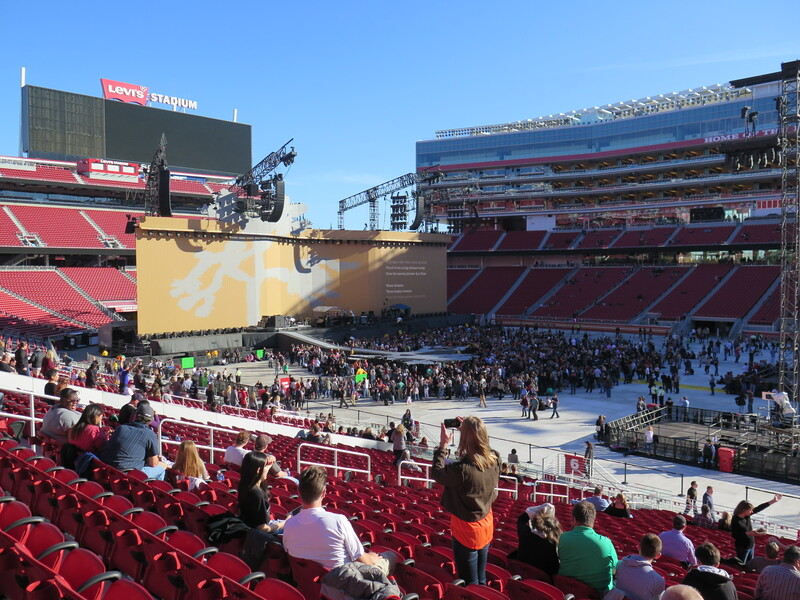 By the time they launched into Where The Streets Have No Name, they returned to the main stage and galaxy-sized screen I understood why they did that. 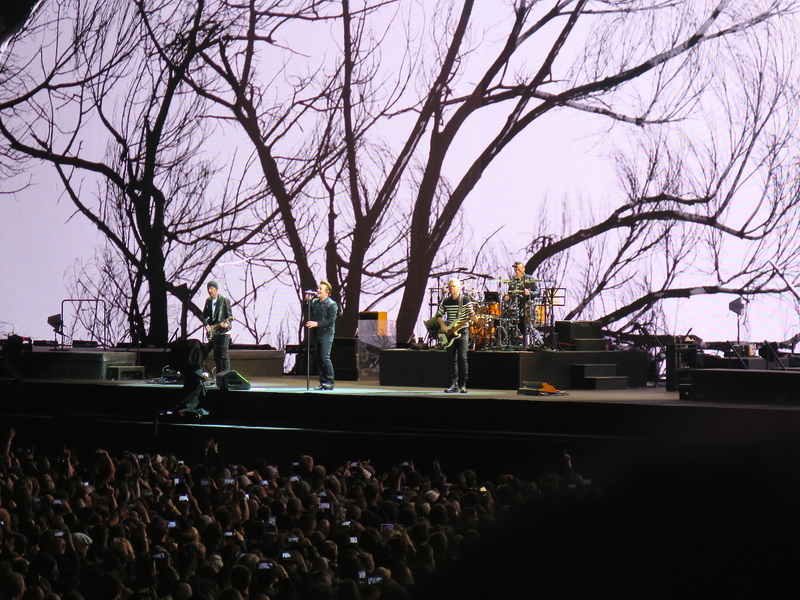 In my next post, I will talk about it, however in the meantime, here’s another shot of the band in Joshua Tree mode.